This Previous Year 2017 B.A ARTS Allahabad University Previous Year Paper Download Given Below Links. The Allahabad University exam will consist of both written and oral test. The medium of the Language will be in English Language only. The syllabus will be different as per the courses opted by the students. MBA: The total mark for Allahabad University Admission 2018 entrance exam is, 600 for written test and 100 for the Oral test, in which Group Discussion (GD) carries 50 marks and Personal interview (PI) carries 50 marks. Each of these sections carries 150 marks. So provides a total of 600 from all the areas. Each correct answer carries +3 marks. Each wrong answer deducts-1 marks. UGAT: The exam will be conducted both in online mode and offline mode. All the questions will be of multiple choice objective type questions. The total duration of the exam will be 2 hours i.e, 120 minutes. Each correct answer carries +4 marks. For each wrong answer, deducts a -1 mark. PGAT: The exam will be conducted through online mode. The exam duration will be of minimum 1 hour and maximum 3 hours based on the number of subjects select by the candidates. The question paper will be divided into two parts, i.e. Section A will be General Aptitude Test and Section B will be a Subject Proficiency Test. Candidates will get 3 marks for each question in common paper and 6 marks in the paper of the individual subjects. 1 mark will be deducted for each incorrect answer in common test and 2 in subject paper. 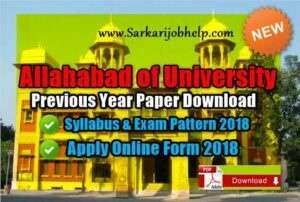 we have provided the complete list of Allahabad University Question papers with the solutions and the Allahabad University Previous Year Paper. You can Download the Allahabad University Entrance Test Official Question paper with the Subject Wise Papers in pdf Format in Hindi. Ham jald hi Link Provide kara dege…. Okay, Ham Jald hi Allahabad university UGAT BA ka previous year 5 Paper ka Link Provide kara dege…. 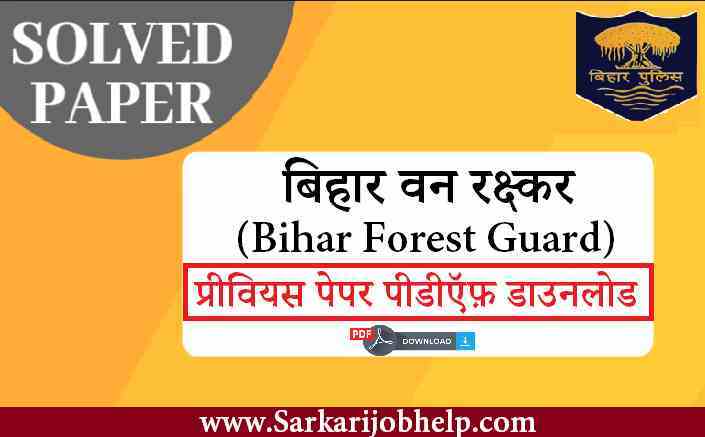 Sir, please provide Allahabad university UGAT (arts) previous 5 years question papers ! Sir mujhe ba social science entrance exam ka previous years ka questions paper chahiye WO bhi 5 years ka what’s app no pe 9135152447 please sir…. Sir mujhe allahabad university ka PGAT ka M.A hindi ka last 5 years ka question papers chahiye and aap plz bta skte ho ki iske liye koi specific guide milati hai kya. But sir plz mere watsapp no ya mail pr previous 5 years ka M.A hindi ka question paper send bhej dijiye. okay… i will try ..
Sir allahabad university ka b.a kal last 2 year entrance exam ka question paper chahiye. Sir maine bsc chemistry aur physics se kiya hai.kya mai allahabad University se hindi se MA kar sakta hu? Can you please provide previous years question paper for m.ed. entrance ? Sir I want the previous question paper for BA and specially want to know what type of questions come in BA entrance exam for civics and logic. Plz help me sir I really need this plz plz. My email id is mpraaachi@gmail.com. Plz send me Allahabad University M.A. political science previous 2 yr questions paper . It’s urgent because in Varanasi not available in any book store. Actually i am preparing for B.A in AU but i don’t have any idea about question type and my subjects are Economics ,Civics, and logic but these were not my intermediate subjects so plzzzz help me through sample papers or prescribe me good book for AU entrance fir B.A. Plzzzz help i don’t have much time. sir, i need previous question papers for pgat english literature. I want to take admission in Allahabad university. I want m.sc previous year question paper for physics. PLEASE UPLOAD THE M.COM KA ENTRACE KA PREVIOUS PAPER. Llb entrance ka complete material chahie plzz provide.. Respected sir I want Allahabad BA entrence exam previous year paper of 5 years..
Hello sir I want previous 5 year paper of uet maths group entrance test for Allahabad University . I thanks you for this . I need previous year paper of allhabad university bsc maths entrance exam previous year paper. Can I get all the previous year entrance exam paper of university of Allahabad for bcom. If u can upload it would be kind of you . i want last three years AU BSc maths entrance papers please send them immediately. hope you will do that. Sir, l need Allahabad University B.Sc. (Maths) entrance question paper for last three years. Sir mujhe 2015 2016 2017 ma Hindi ke old paper chahiai.madad Karen sir. Sir M. A.Political Science. Entrance examination ke sample papers meri email id par bhej dijiye…..
I’m also unable to get entrance exam question paper of MA in political science. .
Sir plzz do help us.. I want previous year entrance exam question paper of PGAT course ( MA in political science ) plzz do help me. Sir plz send me link regarding the previous years question for pg in psychology..
Sir please give me allahabad university M.Sc Math previous year question paper..please sir..my email Id avinashysln@gmail.com and whatsapp number 7347728110..so please give me link on my email or give pdf whatsapp..thank you sir.. Please provide me CRET mathematics previous years question papers. Sir PGAT ka MA Political science ke entrance exam ke liye previous year ke question paper mil skte hain kya?? Mujhe koi idea nhi ho pa rha hai ki kaha se padhu kya padhu kitna padhu..
Agar aap previous year entrance question paper avail kara denge to mai apka bahut aabhari rahunga..
Sir please provide Allahabad University Msc physics previous year entrance exam question paper. Try to provide it as early as possible since the exam is very near. Bharatji, Allahabad University LLB Entrance Exam 2017 me maximum marks 300 tha..
Sir when there will be 3 rd cutoff relesed by allhabad university for llb 3years examination. And tell what is expected cutoff. I want previous 5 years question papers of PGAT entrance exam of chemistry and Biochemistry and Zoology. Will you plz help me..
B.sc pcm ka previous paper send kro pls. Please send me previous year entrance exam question papers for pg english literature of allahabad university. On my gmail account 16 sushmita.bhardwaj@gmail.com. Sir Allahabad University ka MA Geography ka entrance model paper….please.